Every once, maybe twice, a generation comes a series so brilliant, it transcends the boundaries of the paper it was written on and becomes a part of the reality of the billions of people who've opened the pages of the book, watched the movies, bought a single piece of merchandise, visited King's Cross station or the Universal Studios parks, talked about it and grew up the actors who portrayed our beloved characters. For our generation, the Harry Potter series is that Series. 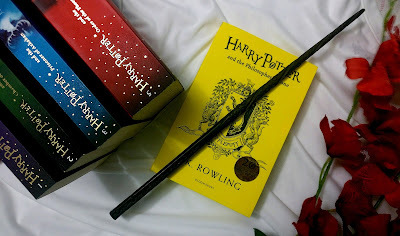 From The Boy Who Lived to Nineteen Years Later, souls all over the world united and experienced a journey together, falling in love with Harry, Hermoine, Ron, the Weasley Clan, Hogwarts and Hogsmeade, Snape, Dumbledore, Neville, Luna, Cedric and everyone else we know as well as we might know our own siblings. who has introduced themselves to J.K.Rowling's world, I remember my Harry Potter journey. I read Philosopher's Stone and Chamber of Secrets three times each at the age of nine. I had never related with a character more than the Library loving, all knowing Hermoine Granger and I always thought of myself in her shoes during all the times I imagined myself getting a Hogwarts letter and going there. I remember the first time that I read Prisoner of Azkaban, the rain was falling from the sky, my cousins and I were seated on my grandma's large balcony and I was drinking hot chocolate as I finally got to read the book I'd been waiting for. 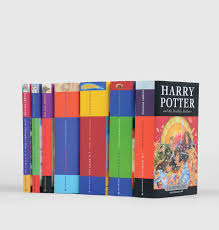 I borrowed Goblet of Fire and Order of the Pheonix from the local library when I was 10 and devoured them within two days each - what were summers for if not for good books? At the age of 11 was when I embarked on the final leg of my Harry Potter journey for the first time. I read Half Blood Prince in four continuous hours and then managed to stretch Deathly Hallows for a week, only to re-open in the minute after I flipped to the acknowledgements, unable to accept that I had reached the end. Except it wasn't the end, was it? Harry Potter, Hermoine Granger, Ron Wealsey, Hogwarts, The Weasleys, Weasley's Wizarding Wheezes, Dumbledore, Buckbeack, Hagrid, Luna, Neville, Dobby, Snape, Slughorn, McGonagall and everything about J.K.Rowling's world lives on in all of us, a part of us forever. I can talk to people half the world away through the internet who also see themselves in Hermoine as I do. I can walk up to a person in the bookstore reading their favourite scene in the Harry Potter books and become instant friends with them. I can watch my cousins open the first book and be welcomed into a world that they will forever remember. And so, when Bloomsbury announced that there would be house editions of Philosopher's Stone I knew that I would be a buyer. Imagine my surprise when they were AMAZING enough to send me a 20th edition Hufflepuff book with bonus content that made me fall in love, and the edged spray painted with house pride. 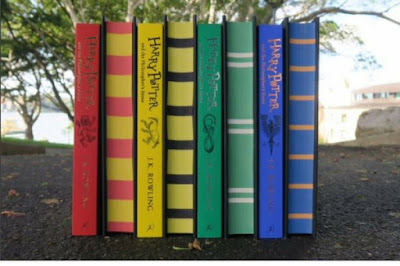 -- Special Edition covers and sprayed edges in your house colour! If you're a part of the billion people whose lives have been changed and taken on a magical ride you'll never forget, pick up one of these books and show off your house pride. Blurb Description: Celebrate 20 years of Harry Potter magic with four special editions of Harry Potter and the Philosopher's Stone. 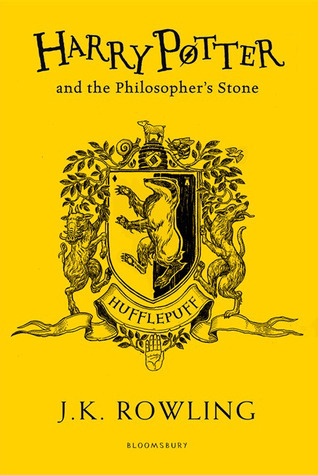 Gryffindor, Slytherin, Hufflepuff, Ravenclaw … Twenty years ago these magical words and many more flowed from a young writer's pen, an orphan called Harry Potter was freed from the cupboard under the stairs – and a global phenomenon started. Harry Potter and the Philosopher's Stone has been read and loved by every new generation since. To mark the 20th anniversary of first publication, Bloomsbury is publishing four House Editions of J.K. Rowling's modern classic. These stunning editions will each feature the individual house crest on the jacket and sprayed edges in the house colours. Exciting new extra content will include fact files, profiles of favourite characters and line illustrations exclusive to that house. Available for a limited period only, these highly collectable editions will be a must-have for all Harry Potter fans in 2017. Have you gotten your hands on these GORGEOUS 20th Anniversary Editions yet? What do you think of them?